You don’t have to go to The Ohio State University to learn more about great advertising! 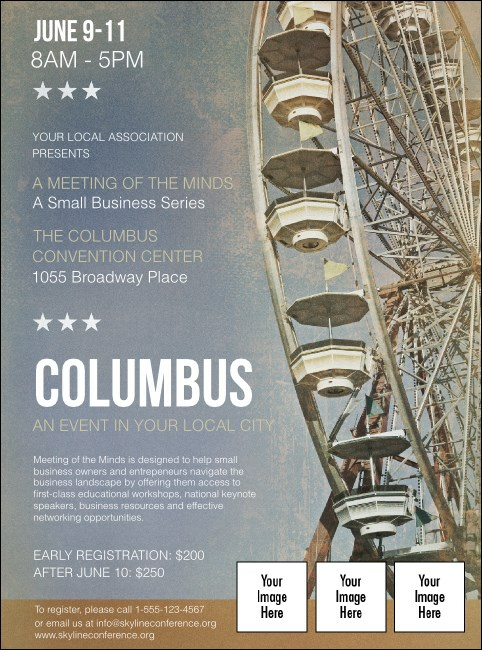 Print Columbus Flyers and promote your next Cowtown event in advance. With room to upload three of your own unique images on a background reminiscent of the Ohio State Fair, these Flyers will help send your ticket sales to new heights. Find the fairest advertising of all at TicketPrinting.com!